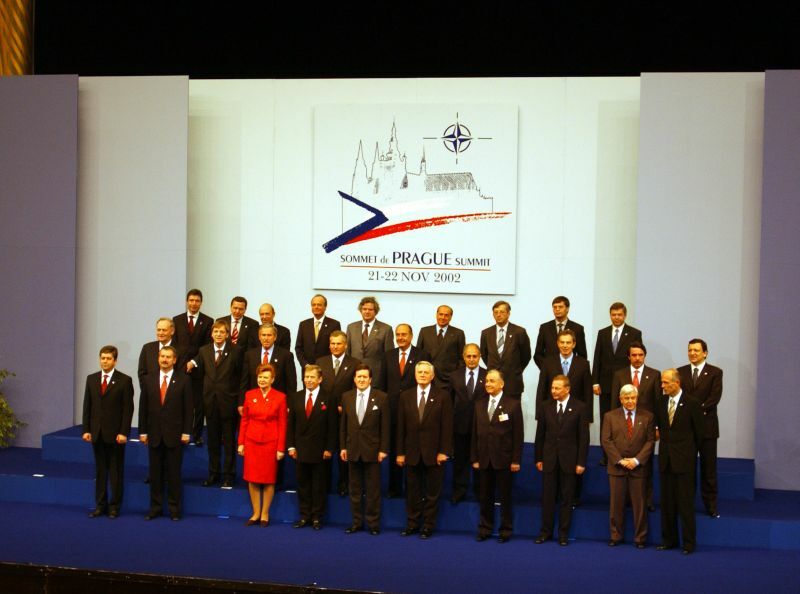 In the 1990s the world witnessed a springtime of the nations in central and eastern Europe. One of these nations was Slovenia. Yet the Slovenian story is different from the others. 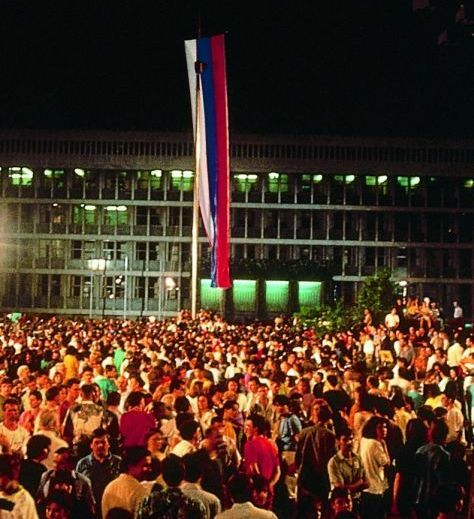 As one of the republics of the then Socialist Federal Republic of Yugoslavia, Slovenia was striving, long before the fall of the Berlin Wall, for the abolition of state totalitarianism, clashing with neo-communist dogmatism, openly advocating the establishment of democracy and, in September 1989, before the fall of the Berlin Wall but still within the context of the former Yugoslavia, it unilaterally introduced a multi-party system in Slovenia. It was in favour of the introduction of a market economy that would enable it to enjoy to a greater extent the results of its economic activity. It strove for greater openness of borders with neighbouring countries, not least because of its desire for connections with its minorities, despite the fact that this was labelled in federal institutions as "nationalist tendencies". Slovenia, which understood that reforms are necessary if there is to be development, advocated the inclusion of Yugoslavia in European integration processes and its more rapid technological development, but in the context of the sociopolitical system of the time, and in the face of the increasingly nationally oriented forms of communism appearing in Yugoslavia in the 1980s, this was simply not possible. 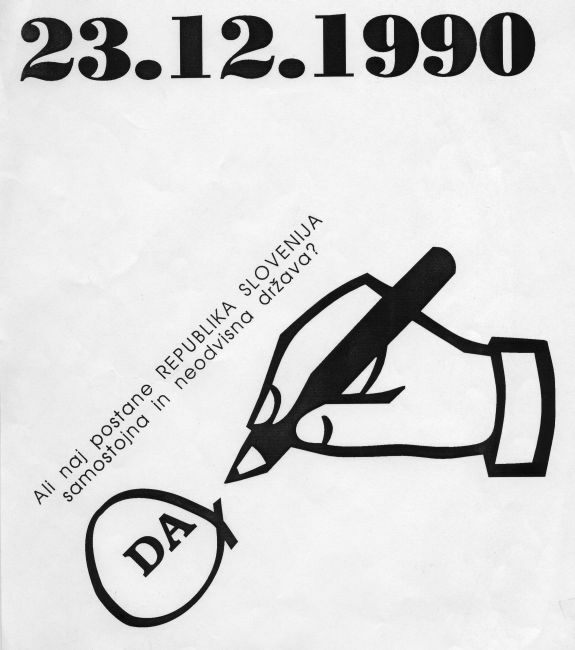 Following the victory of the democratic opposition at the first democratic elections in April 1990, and above all following the plebiscite in December 1990 in which 88.2% of Slovenia's citizens voiced their support for an independent and sovereign state, with a victory of democratic forces over political and military opposition to independence and sovereignty, Slovenia proclaimed its independence on 25 June 1991. It proclaimed independence without any kind of support and even without the tacit agreement of any foreign power. On 16 May 1990 Slovenia got its first democratic government, an autonomous Slovenian foreign policy and its first foreign minister. The emphasis is on the fact that this foreign policy was autonomous for the first time, since although Slovenia had been accumulating foreign policy experience and knowledge since the 16th century (when Baron Sigismund von Herberstein became its first diplomat), it had never functioned as an independent state within the various political entities of which it had formed a part in previous centuries. 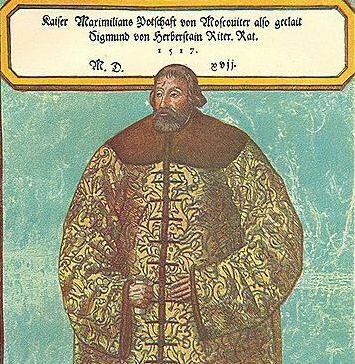 In the centuries that followed we find Slovenian diplomats among the cultured and educated people of noble or even peasant origin at European courts or on periodic missions to the courts of Denmark, Switzerland, Spain, Bohemia, Hungary, Italy, Poland, Turkey, Russia, the Vatican, Prussia and numerous German principalities, Portugal, China and later the USA, Canada, Egypt and South Africa. These diplomats brought back knowledge about nation-building, about the need to open up to the world and the need for international cooperation. All these experiences had to be combined, but since they were still inadequate it was necessary to add some original input and draw in all those who were able to help in some way in the realisation of what was then the most important task of Slovenia's struggle for international recognition as a state, since without the recognition of the international community even independence would be unimaginable. 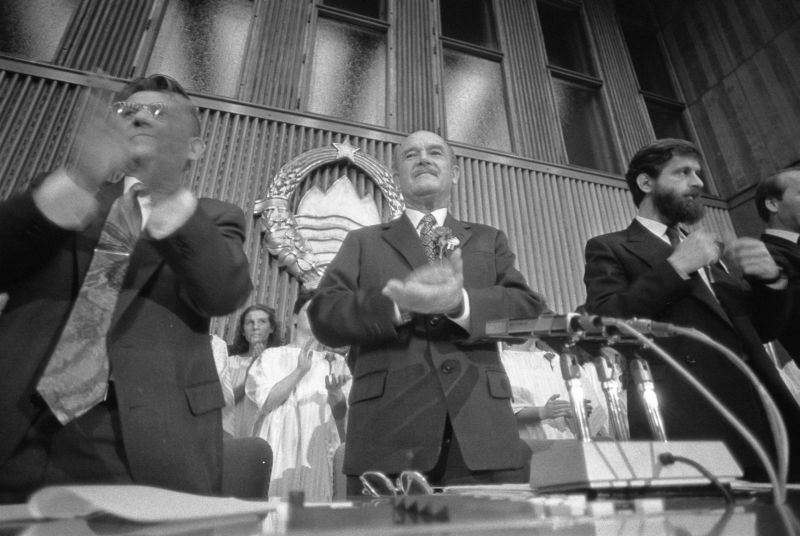 As it grew increasingly apparent that it was not going to be possible to achieve a consensus for change within the Yugoslav federation, the first foreign policy focuses began to appear within the first democratic government of the Republic of Slovenia. One of the first risky actions was the appointment of individuals authorised to represent the Republic of Slovenia at the highest level. It was necessary to create as broad as possible a network of international connections. This network began with the neighbouring countries and spread to countries with a decisive influence in international relations. Within six months of Slovenia's proclamation of independence, the country's foreign policy priority – intensive integration with Europe – paid off with the recognition of Slovenia as a subject of international law on the part of the members of the European Community and certain other European countries. The door was now open for recognitions, which began to arrive from all over the world. Slovenia got its first Foreign Affairs Act in April 1991, followed in subsequent years by several amendments. The Act provides that foreign policy is determined by the National Assembly and implemented by the Ministry of Foreign Affairs. By the end of 1991 Slovenia already had eight diplomatic representations of the Republic of Slovenia, four joint representations of the government and the business sector, one government envoy and more than ten special advisers to the foreign affairs minister. Slovenia's foreign policy and its efforts were at the same time directed towards the incorporation of Slovenia in Euro-Atlantic political, economic and security integrations and political and economic multilateral organisations headed by the UN. On 22 May 1992 the Republic of Slovenia became the 176th Member State of the UN. The development of bilateral relations, in particular relations with neighbouring countries, was from the very beginning one of the key strategic focuses of Slovenia's foreign policy. 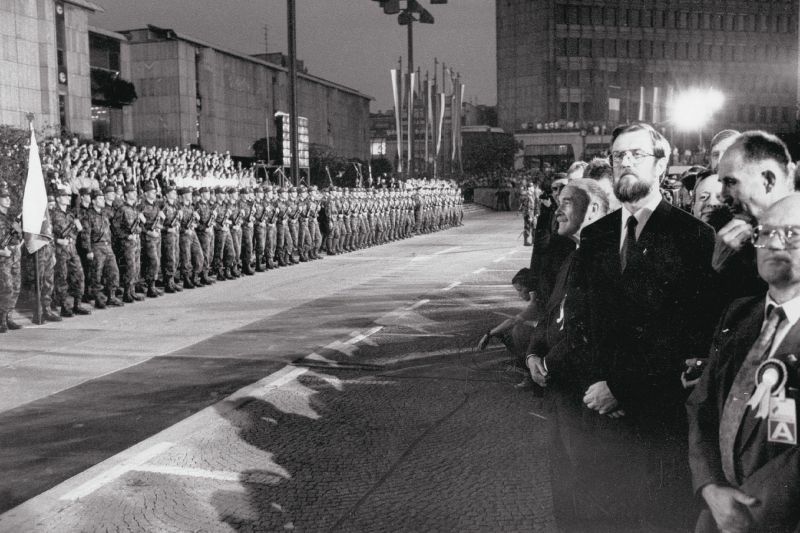 Many countries had shown Slovenia political and moral support during the independence process. Although Slovenia had played a very active role during the period of the crisis in the republics of the former Yugoslavia, one of the tasks of Slovenian foreign policy in the early years was that of affirming Slovenia's identity as a country that was not a part of the crisis in the Balkans, even though certain aspects of this crisis (refugees, the effects of the arms embargo and some consequences of the sanctions against the Federal Republic of Yugoslavia) affected it directly. 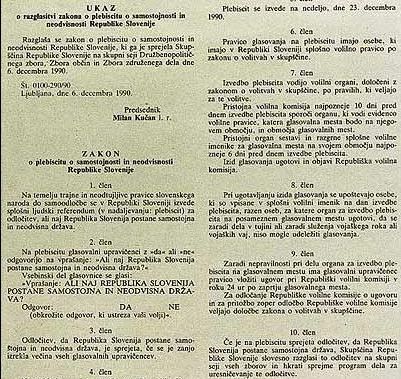 These efforts reached a successful conclusion in 1994 when Slovenia ceased to be included in UNPROFOR reports. Slovenian foreign policy continued with the offering of assistance in the guaranteeing of security, stability, the introduction of democracy, the rule of law and respect for human rights. Slovenian foreign policy is still tied to these values today. With its membership of the UN, Slovenian diplomacy, committed to effective multilateralism, gained much more than mere recognition of its own statehood. It also gained the opportunity to consolidate those objectives and principles in international relations that are the key to the preservation of Slovenian sovereignty and, thanks to the UN principle of equal sovereignty of states, the possibility to express itself directly on all key issues affecting the international community and its security. 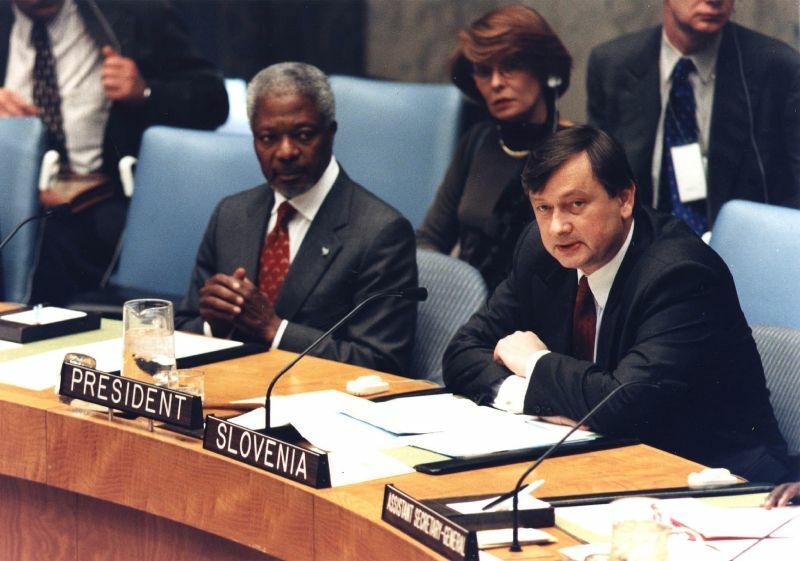 Consistently committed to these principles and values, just six years after being accepted as a member of the UN, Slovenia took up a non-permanent seat on the Security Council (1998–1999), in this way assuming co-responsibility for global events and taking on functions of the greatest responsibility, from chairing meetings of the Security Council to participating in various committees and missions. Slovenia's proposal – subsequently realised – to establish an International Trust Fund for Demining, contributing to peace and stability in crisis areas and directly saving the lives of those living in areas affected by war, is still the recipient of broad approval today. In 2003 Slovenian foreign policy received an important recognition from the domestic public when almost 90% of voters in a referendum supported Slovenia's entry into the EU and NATO. One of Slovenia's most important foreign policy goals – NATO membership – was achieved in 2004 in the second round of NATO expansion. This was also the year that Slovenia became a full member of the EU, joining the group of democratic countries and successfully concluding all the most vital political and economic processes it had set as its goals on achieving independence. 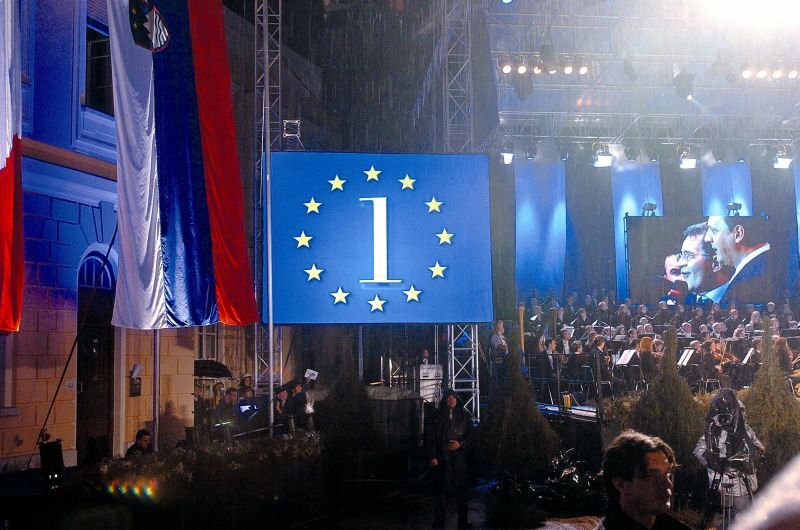 Just four years later, in the first half of 2008, Slovenia became the first of the new members of the European Union to hold the Presidency of the Council of the European Union. 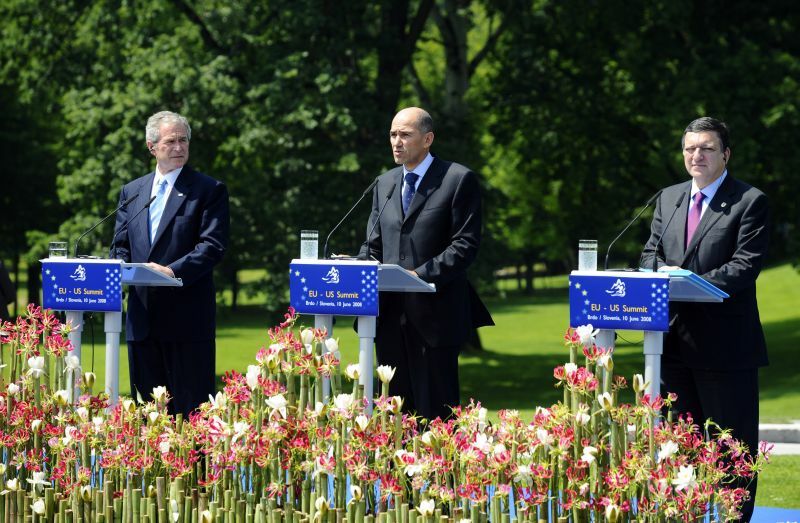 Slovenia's EU Presidency was marked by three priority tasks: intercultural dialogue, the Western Balkans and the process of ratification of the Lisbon Treaty. There were also challenges such as climate change and its connection with energy. 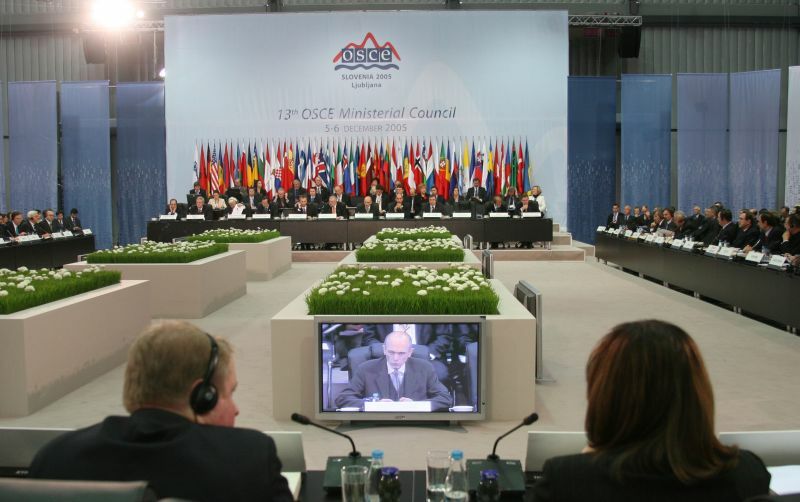 These responsible tasks demanded the universal engagement of all the potentials of Slovenia's foreign policy apparatus. 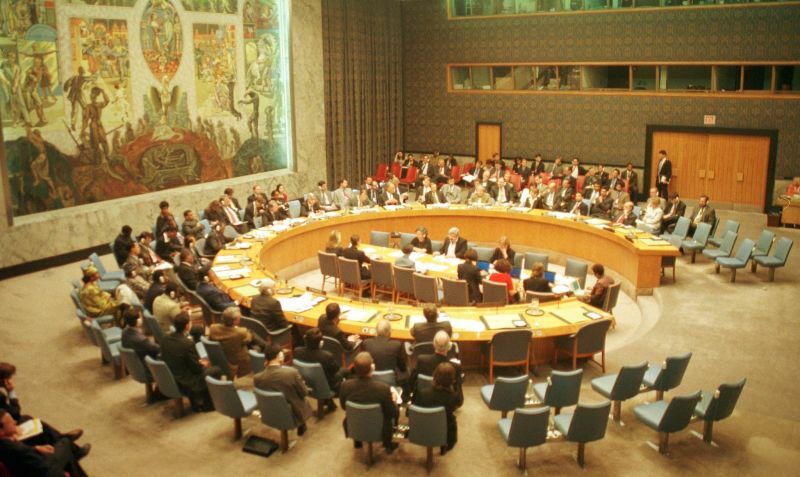 At that time Slovenia already had experience as a non-permanent member of the UN Security Council and had already chaired the OSCE (2006) and various international organisations including the Human Security Network (2006) and the Board of Governors of the International Atomic Energy Agency (2006/07). 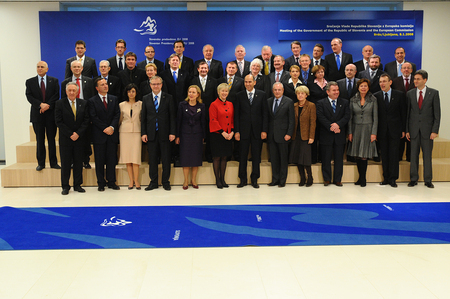 In 2009 Slovenia successfully chaired the Committee of Ministers of the Council of Europe for six months. Slovenia became a member of the Council of Europe, the oldest pan-European international organisation, in 1993 and was the first of the former Yugoslav republics to do so. Membership of the World Trade Organisation (1995) was followed last year by membership of the OECD, and economic diplomacy has become one of the most important priorities of Slovenian foreign policy. Slovenia is actively involved in current questions relating to multilateralism, the system of collective security and reforms of the UN, economic and social changes, human rights, development issues, climate and environmental changes, questions of security and energy and other urgent problems of the global community. Development aid, which is strengthening from year to year, was given an important place in Slovenian foreign policy very early on. Slovenia was a member of the UN Human Rights Council in the challenging period from 2007 to 2010 and is active on numerous councils, commissions and committees: UNDP/UNFPA, UNHCR, UNICEF, UNDEF, UNIFEM, the Commission on Sustainable Development, the International Law Commission, the Committee on the Elimination of Discrimination against Women, the Committee on the Rights of Persons with Disabilities and elsewhere. As a member of the Human Security Network and the Friends of Human Security group, Slovenia promotes the rights of people to live without fear, without want and with dignity, and to have the same opportunities to enjoy all their rights. The over 5,000 Slovenian members of peacekeeping forces have to date participated in operations throughout the world including Afghanistan, Albania, Bosnia and Herzegovina, Chad, Cyprus, the Democratic Republic of Congo, East Timor, Iraq, Kosovo, Lebanon, Macedonia, Sudan and Syria. Since Slovenia is also a Mediterranean country, it has also become the seat of the Euro-Mediterranean University (EMUNI), through which it aims to encourage dialogue between young people and academics in the Mediterranean. Membership of the OECD concludes the relatively short period in which Slovenia has succeeded in becoming a member of the most respected international organisations. Slovenian foreign policymakers are faced with new challenges, with economic diplomacy at the forefront. The objectives of Slovenian foreign policy include stimulation of the process of internationalisation of the Slovenian economy, finding new markets for Slovenian companies and assisting companies in their search for tangible business opportunities. Accordingly, the Government has transferred the responsibility for economic diplomacy to the Ministry of Foreign Affairs. With a view to realising all the set objectives, the Ministry established a separate directorate, enhanced the network of economic representatives (currently 25 economic advisers are appointed within the foreign service system), and engaged its honorary consuls. Slovenian diplomats are making good use of past experience to assist the Slovenian economy, while economic interests present today a key component of Slovenian foreign policy. Today Slovenia has 650 diplomats and 88 honorary consulates-general and consulates. It has created a network of 57 diplomatic and consular representations, accredited in 89 countries on every continent of the world. In the last 20 years doubts about the abilities of our young country and its diplomacy have disappeared. The experience and recognition gained are a guarantee that we will continue in the future to take on responsible tasks for the protection of peace and security and international cooperation.